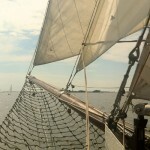 Would you like to take a wonderful sailing trip and look at the world from the water? 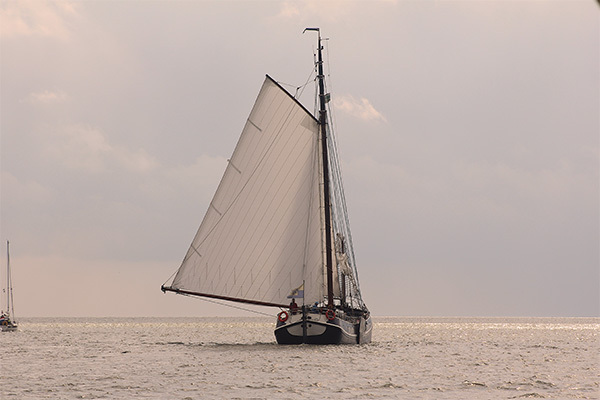 An evening’s or afternoon’s sailing on the IJsselmeer is an ideal way to relax and be active in the fresh air. The fresh breeze, the smell of the salty water and some warm sunshine will make you forget your troubles in no time. 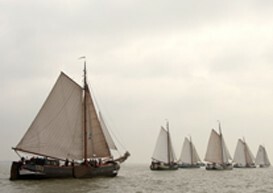 Egasail offers several kinds of day trips across the IJsselmeer, for bigger and smaller groups. You can be out for the whole day, but you can also choose to go for just an afternoon or evening. We also offer trips for special events, such as family gatherings, bachelor parties or company outings. The minimum number of passengers is 6, but the maximum is set at no less than 750 persons! Day trips can be booked for any day of the week. 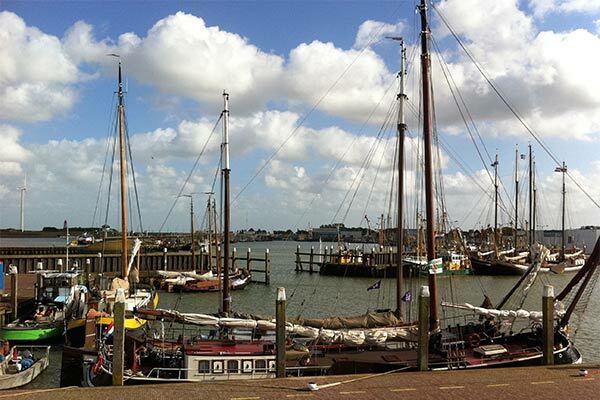 Our sailing charter Orion has her home port in picturesque old Monnickendam, from where we can sail across the entire IJsselmeer. 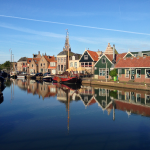 Edam, Volendam, Marken and Amsterdam are just a few of our destinations; we can also visit places like the fortress island Pampus or stop for a drink on a nice outdoor terrace in Historical Hoorn. Of course we must not forget that a ship “marches” on its sailors’ stomachs, and therefore Egasail offers catering options for breakfast, lunch, dinner an/or a luxury barbecue. Please ask us about the possibilities! From 10:00 till 17:00: prices from €35 per person (without catering), at full occupancy of 34 persons. From 13:00 till 17:00: prices from €25 per person (without catering), at full occupancy of 34 persons. From 18:00 till 22:00: prices from €25 per person (without catering), at full occupancy of 34 persons. Below is an example of what a full day trip programme can look like. An afternoon trip has a shortened programme. Evening trips start at 18:00, when we embark and start with a drink. Dinner is served at 20:30. 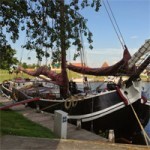 After dinner we sail back to Monnickendam, where we will moor at 22:00, or later if requested. 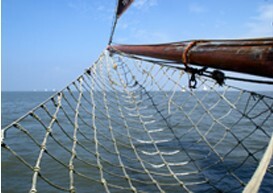 Everyone can lend a hand during the sailing; experience is not required. 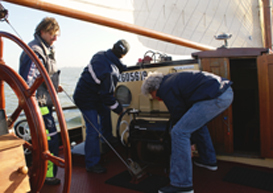 Beginners are helped and supervised by the crew, and more experiences sailors can operate the helm, sheets and leeboards. If you want to take a break or if sailing is not really your thing, feel free just to let the fresh air blow away your cobwebs or enjoy the comfort of our saloon, a popular destination in strong winds or when it rains! 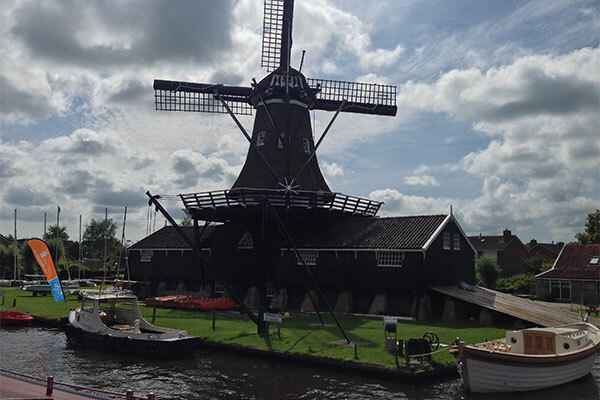 On arrival you are welcomed with strong coffee and some traditional pastry aboard the Orion. 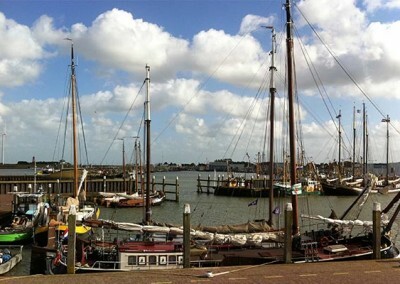 Around 10:30 we set a course for the Gouwzee, Markermeer and IJsselmeer. 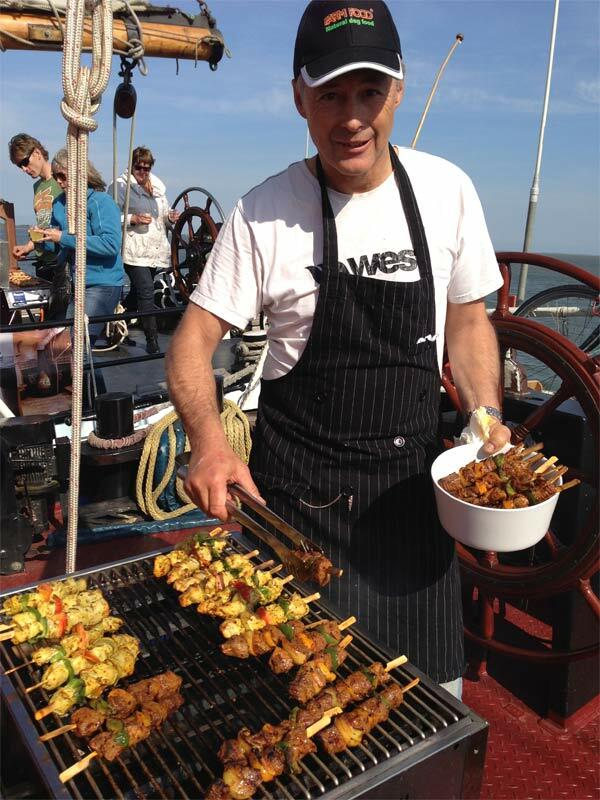 Sailing makes hungry, so of course we must eat; a delicious extensive lunch is served around midday! 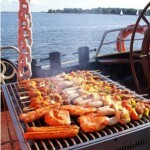 After lunch and a couple more hours of sailing, we look for a nice place to set up the barbecue. We’ll enjoy the beautiful landscape, good food and excellent company. 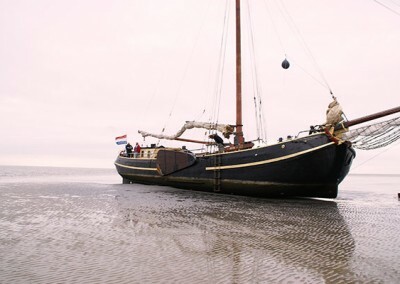 When the barbecue is over, we weigh the anchor and sail back to Monnickendam.